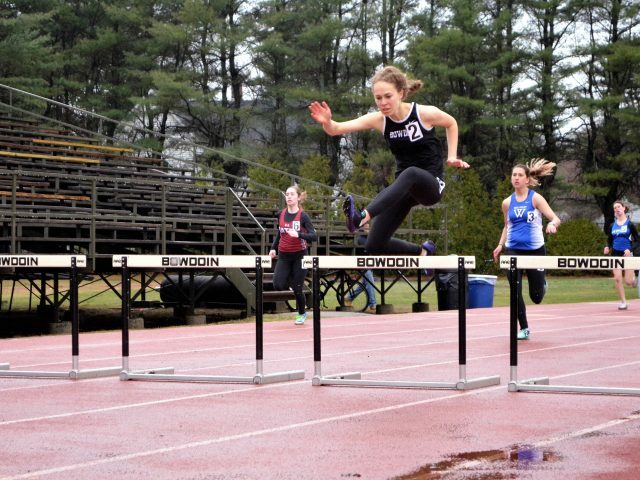 After an indoor season riddled with injuries, the track and field teams found their momentum last weekend in the Silfen Invitational at Connecticut College. 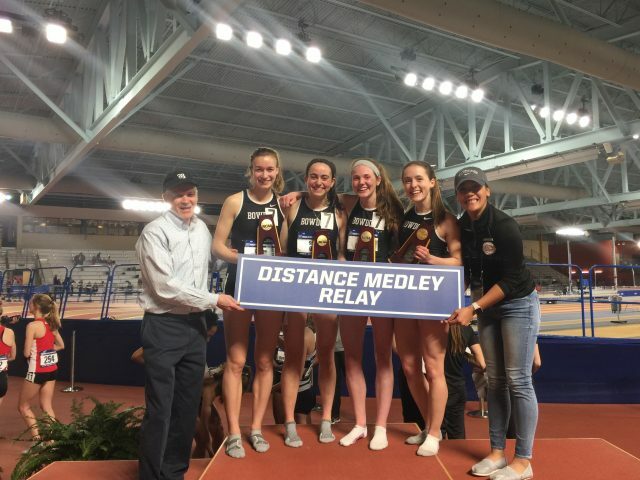 The men’s team placed fourth out of 24 teams, while the women’s team came in an impressive second out of 20 teams. 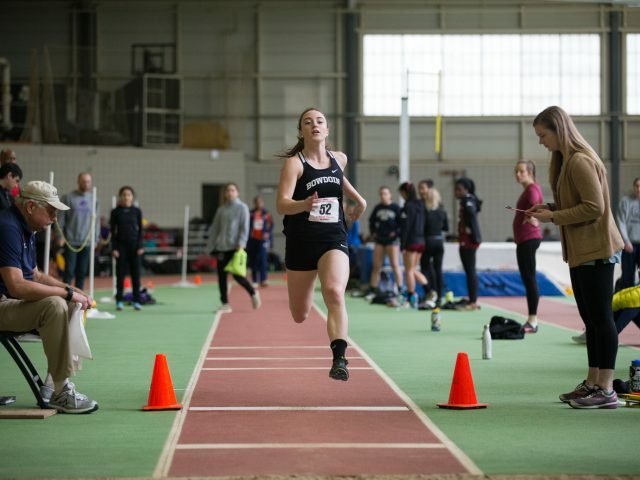 Last weekend, the women’s and men’s indoor track and field teams competed in the New England Division III Championships, placing fifth out of 31 teams and sixteenth out of 23 teams, respectively. 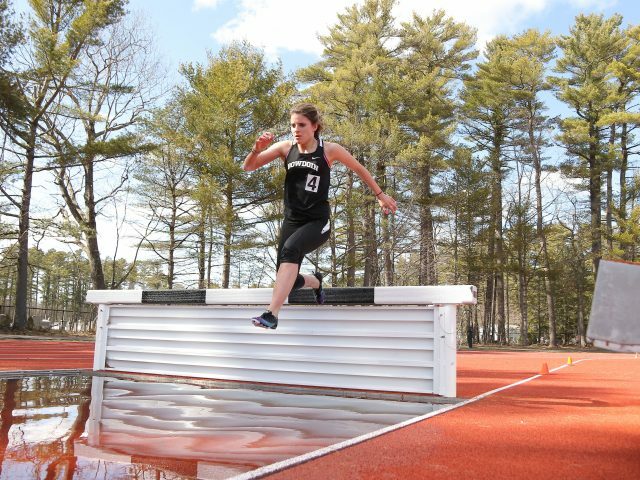 Captain Julia O’Rourke ’19 broke the program record in the 5000-meter run while Morgen Gallagher ’20 set a new 60-meter sprint record. Tournament time. The women’s tennis team (13-4, 5-3 NESCAC) is seeded fifth heading into the first round of NESCAC playoffs this weekend where it will face No. 2 Wesleyan (11-3, 5-3 NESCAC). The Polar Bears hope to build off their recent success—an 8-1 win over Babson (10-8) and a 9-0 shutout over MIT (12-8) last weekend—as they go up against a strong Cardinal squad. 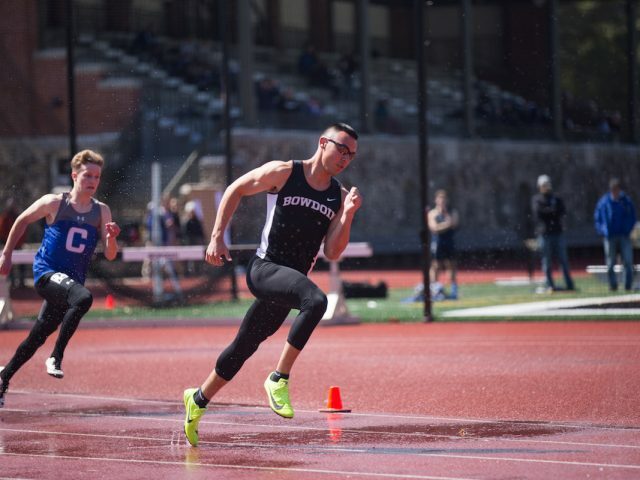 Last weekend, the women’s and men’s track and field teams hosted a home invitational against seven other schools, with the men’s team taking first and the women’s taking second overall. 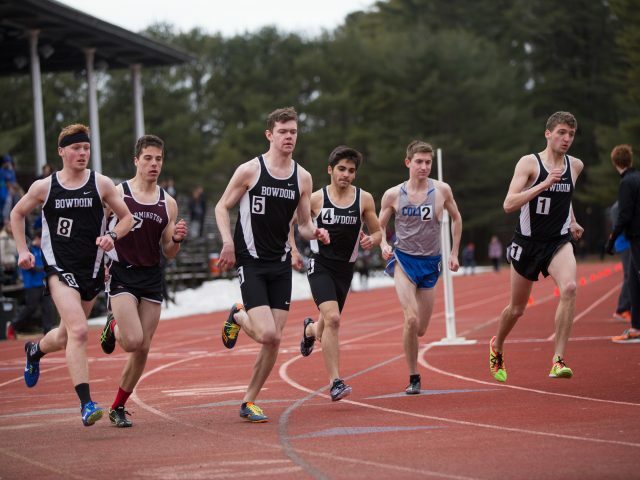 The men’s team easily earned first place with 158 points over second-place University of Maine Farmington, while the women’s team fell to the University of Southern Maine by a narrow 20 points.